Facebook stands apart from the crowd in more ways than one. Their performance management strategy is no different. Although some Fortune 500 companies are moving away from performance evaluations, Facebook is standing firm by conducting biannual 360 reviews. The company also facilitates a continuous stream of real-time feedback, allowing employees across the globe to give and receive feedback. Whether or not the employees are as happy as their Facebook profiles make it seem is up for debate, but one thing is certain -- Facebook’s talent is certainly taking the already-successful company even greater heights. Let’s take a deeper look at Facebook’s performance management strategy. Employees and managers at Facebook generally know what to expect when biannual performance reviews roll around. Due to the company’s continuous stream of 360 real-time feedback, everyone has a good understanding of an employee’s performance prior to the appraisal, minimizing any uncertainty or ambiguity on both ends. All of Facebook’s global employees have access to internal software that enables real-time feedback among coworkers, while management uses the software to keep track of project progress and provide general support. The information gathered in this system, as well as the feedback collected from three to five close colleagues in peer reviews, is what managers use to determine each employee’s performance at the biannual review. In other words, management seizes the opportunity during performance reviews to reward the performance of exceptional employees, whereas underperforming employees rarely make it to their performance review. Employees walk away from their appraisals with a grade out of seven. The numbers are given definitions from “redefines” to “does not meet.” This stack ranking system has obviously worked to some degree, as evidenced by the social network’s astronomical success and impressive talent, but it has had a somewhat polarizing effect among employees and ex-employees. According to a 2016 edition of the Harvard Business Review, Facebook promotes three core values in their performance management strategy: fairness, transparency, and development. However, it sounds like some ex-employees would argue that the company did not always live up to these values. In January 2019, Salvador Rodriguez of CNBC conducted in-depth interviews with more than a dozen former employees to ascertain how the felt about Facebook’s performance culture. The Ex-employees likened the company to a cult, claiming that employees feel a distinct pressure to never show dissent, to keep up appearances on their Facebook profiles, and to force cordiality and friendships with their coworkers in order to advance. Many of these ex-employees attributed Facebook’s recent series of scandals to its so-called no-dissent work culture. If employees had been encouraged to give honest and critical feedback, they said, some of these problems may have been caught prior to their exposure in the media. While the peer review component of their performance management strategy may be an efficient way of assessing each employee’s strengths in such a large company, many former employees felt that it often turned into a simple popularity contest where coworkers were pitted against one another to compete for advancement. 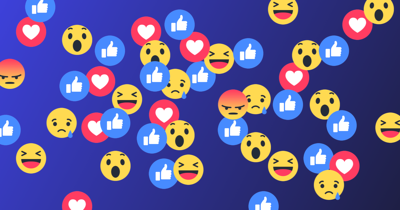 However, there are two sides to every coin, and there are obvious and unmistakable benefits to Facebook’s performance management system that are hard to ignore. And employees seem to agree--in an internal study, Facebook concluded that over 87% of people wanted to keep performance ratings. Employees recognize that the system has flaws, but most also agreed that what they have is better than no reviews at all. And Goler et al. agree -- at Facebook, performance reviews are used to help employees understand how their contributions matter to the company’s growth, as well as to more easily recognize and reward top performance. While performance evaluations are not necessarily the perfect system, and can have costly flaws, they are certainly better than no reviews at all. Without formal reviews, performance will still get rated in another, more secretive manner that leaves employees in the dark and creates a sense of distrust toward management. Even continuous real-time feedback, while a helpful tool to improve an employee’s performance, can employees unsure of their impact on the company overall.